Floss at least once a day, unless you tend to get food trapped between your teeth, you may floss more often. Don’t rush flossing or you may miss trapped food between the teeth. Try to find the best time to floss. Many people decide to floss before bed, others floss right after lunch at work. Any time is fine, as long as you are more prone to flossing every day. Use as much floss as needed to clean both sides of every tooth with a new section of the floss. There are times when you would need to floss more often between the same two teeth if you still have trapped food. Using a new section is necessary to prevent moving bacteria from one tooth to another. Whichever type of floss works, so choose whichever is best for you. There are many types: waxed and unwaxed, flavored and unflavored, thread and ribbon. Waxed floss works well for those with closely spaced teeth. Tougher, shred-resistant types of floss work well for those with rough tooth edges. Hold the floss in whichever way you prefer. The most common way is winding the floss around the middle fingers. Pull it tight and guide it with the index fingers. Others wind it around their index fingers and guide it with their thumb and middle fingers. Some people just hold the ends of the floss, or use a floss-guiding tool. If you have a fixed bridge, a bridge threader can help guide floss under the bridge for better cleaning. Holding the floss isn’t as important as how you guide it. If you can’t settle on a good method, ask your dentist or hygienist for suggestions. Hold the floss so that a short new segment is ready to work with. Guide the floss between two teeth. If it’s tight, use back-and-forth motions to work the floss through. Do not snap the floss; you could cut your gums this way. Hold the floss around the front and back of one tooth, to make a ‘C’ shape so as to wrap the floss around the side edge of that tooth. 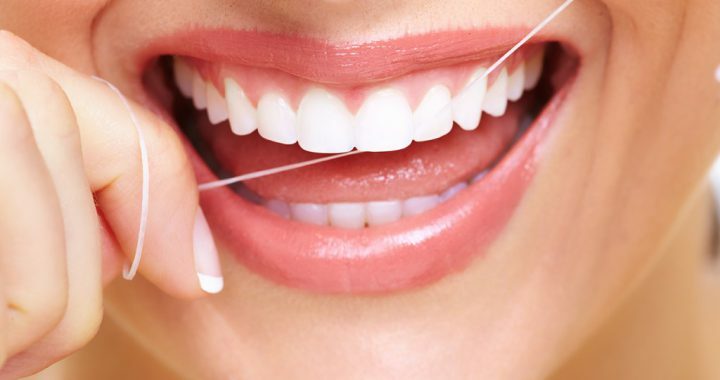 Move the floss up and down with light to firm pressure to remove plaque from the tooth. Do not press too hard that you injure the gum.